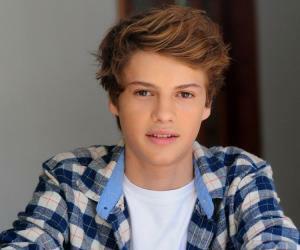 Jace Norman is an American actor. Let’s have a look at his family & personal life including age, date of birth, net worth, girlfriends, and fun facts. Jace Norman is one of the most popular and well loved young actors out there. 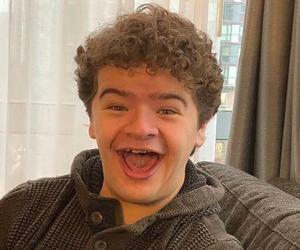 His role as Henry Hart in the Nickelodeon show ‘Henry Danger’ has brought him enormous fame and recognition and every kid out there know and love him and his character! When Norman was a kid himself, he and his brother used to make home videos all the time and it was then that he realized that he wanted to be an actor and wanted to be a part of the acting industry. When he confessed his wish and intention of becoming an actor to his parents, they did not give him the green signal rightaway. Initially they were very apprehensive about the idea but after a lot of convincing, they came through. After that his parents fully supported Jace Norman in all his professional acting endeavours and made sure he had all the motivation and support to progress further. 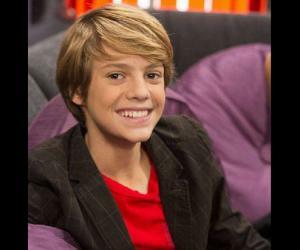 Jace Norman’s work in ‘Henry Danger’ has not only brought him fame and recognition but also a lot of love. Not only kids, but also lots of grown-ups attest to the fact that he is incredibly talented and has a very commanding screen presence. 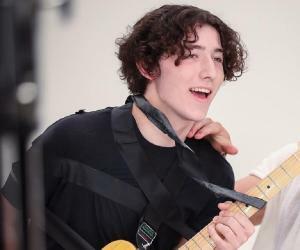 He maybe just 16 years of age, but he provides able support to the rest of the cast of any TV show or movie. Norman considers his father to be his inspiration and always tries to be more like him. Whenever he is going through some hard times, he turns to his father for advice. In just four years, he has worked in a lot of acting projects which include films, television shows, television movies and also one reality show which further attests to his popularity and fame.He has proved himself to be an inspiration and motivation to many teenagers wanting to pursue an acting career or to be successful in their respective fields. He will be seen more in the TV arena with time due to his huge potential. A lesser known fact about this teen heartthrob is that he really loves animals! Along with his siblings he used to look after and take care of his menagerie of animals such as a miniature potbellied pig, pygmy goats, dwarf bunnies, chickens, cats, and dogs when growing up. While he loves both cats and dogs, he considers himself more of a cat-person than a dog-person. When he is not working, Jace Norman loves spending time with his parents and siblings. He has always been passionate and enthusiastic about the outdoors and when he used to live in Corrales, New Mexico, with his family,he spent his entire childhood playing outdoor games with his siblings such as climbing trees, building forts, etc. He also loves the ocean and in his spare time loves to bodyboard and sail. He is also interested in playing sports and currently plays a lot of competitive soccer and lacrosse. Jace Norman is known to bodyboard and sail because he loves the ocean.